Our 4th year doing this and it's always a lot of fun! This will be a memorable event and you will leave with your very own painting! 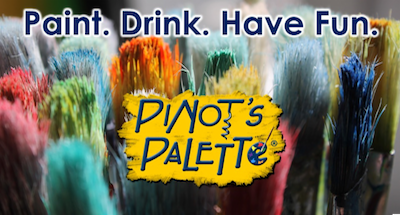 For those who have never been, you get to sip on wine or beverage of your choice whilst you paint a masterpiece! You don't have to be Van Gogh or Bob Ross...even the most novice can achieve greatness!